Hitman: Absolution is a stealth based game that belongs to the popular Hitman series. The game will have you slowly calculating your next move in a variety of assassination style missions. The game world is set in the aftermath of the previous game (Hitman: Blood Money). Players will play as Agent 47 as they hunt down their old handler Diana Burnwood and then fulfil her dying wish by protecting Victoria from The Agency. From here the player goes rogue themselves and continues their role as a hitman in exchange for information relating to Victoria. Much of the game is told through extensive cutscenes which is a change from the previous Hitman games. Additionally players won’t be able to select their equipment from The Agency and have to focus more on what the environment has to offer. 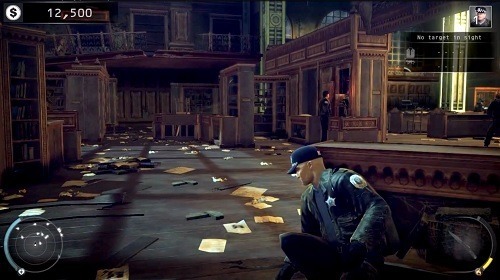 Gameplay is orientated mostly around cities in the United States, some of which are realistic and some fictional. A large shift from previous games in the series is the change to much smaller maps with checkpoints scattered in between. While this removes much of the exploration emphasis it means far less frustration for the player where one miss step can really hurt your chances. In each mission you’ll have an objective to achieve (most often an assassination) but have multiple paths to get there. Stealth generally offers the most options for players to achieve their objective but combat can also play a role and is a much more enjoyable experience with the well-done cover system. In order to help Agent 47 players can use an instinct mode which gives you information on your objective, objects of interest or can help you see the patrol routes of enemies. 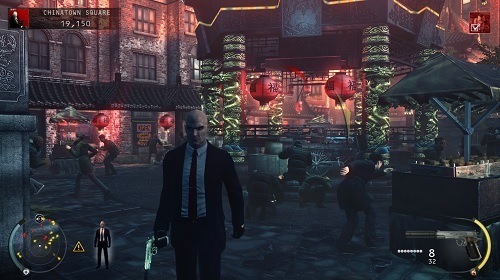 Hitman: Absolution encourages players to replay levels through the scoring system which keeps track of your performance and compares it to others. While some of the changes in Hitman: Absolution might feel like a watering down for long-time fans it means the game is much more suited to newcomers looking to get in on the stealth gameplay that the Hitman series has to offer. Part of the Hitman series which is well known for its stealth based gameplay. Long campaign (15hrs+) with plenty of mission variety. Focus on story which is told through cutscenes. Instinct mode can help you discover information for tougher levels. Score system compares you to others and encourages replay.